The Real Marina Residence is a perfect place to enjoy family holidays in the Algarve. Beautifully set in the Ria Formosa Natural Park, this 4-star hotel is located 15km away from the fantastic Faro city. If you’re looking for natural landscapes, lovely beaches and boat trips on the Ria, then Real Marina Residence is the place to stay. 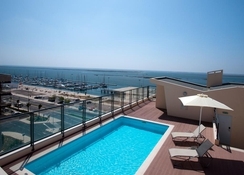 Guests can relax, rejuvenate and unwind at the Real Marina Hotel & SPA, only 50m from the hotel this serene space is occupied by gorgeous restaurants, an outdoor pool overlooking the Ria Formosa, and a selection of therapy treatments for pamper purposes. The hotel boasts 80 bedroom apartments across three areas (T1, T2, T3) for guests to stay in, finished with modern facilities and a balcony that overlooks the grounds. The hotel’s restaurants are located in the spa, where you’ll find everything from traditional Portuguese fare to fantastic burger houses. Whether you want to stay for leisure or work (the hotel has business facilities), you will find all the necessary amenities for a comfortable retreat. Situated in the heart of Olhao, this magnificent hotel is just 1 mile away from Olhao Municipal Market, Parque Natural da Ria Formosa and Olhao Harbour. The Faro Beach is within 14km from the property. Other attractions near the Real Marina Residence in Olhao, Algarve, include the Faro Jewish Heritage Centre and Carmo Church, which are only 6 miles away from the hotel. The Faro Airport is roughly 7 miles from the Real Marina Residence. There are 80 air-conditioned guestrooms at Real Marina Residence. The rooms in this hotel are categorised as One Bedroom Family Apartment (2 Adults + 2 Children), Two Bedroom Family Apartment (4 Adults + 2 Children) and Three Bedroom Family Apartment (6 Adults + 2 Children). These rooms (T1, T2, T3) are spacious and comfortable, offering great views and location. The seafront apartments are ideal if you want to soak up the stunning views. 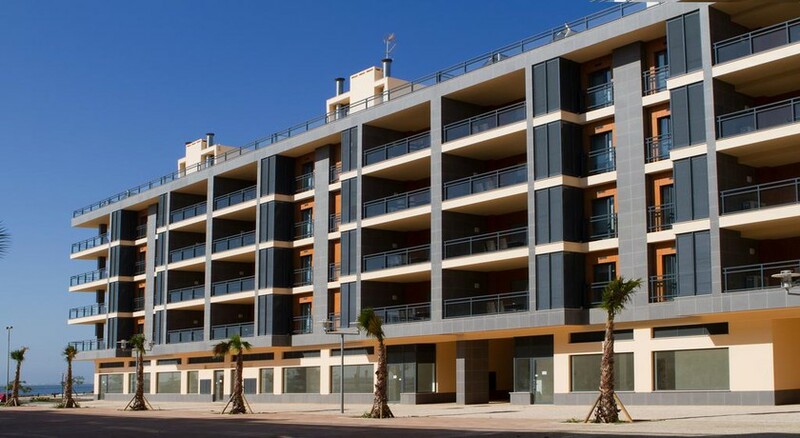 Each apartment has a fully equipped kitchen with modern bathrooms made with natural stone. They also comprise all the necessary amenities that include dishwashers, microwaves, freezers/refrigerators, and stovetops. Every room has an LCD television with satellite channels. 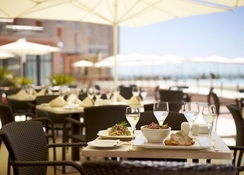 Discover the secrets of Algarve cuisine in four customer-favorite restaurants and bars located in Real Marina Hotel and Spa, situated next to Real Marina Residence. The Maldecoade-Artisanal Burger House serves 10 different kinds of burgers - with a choice of vegetarian, meat and fish – which can be enjoyed amid breathtaking views of Ria Formosa. Similarly, Real Restaurant serves Portuguese cuisine amid a contemporary and relaxing environment. Those who want to indulge in drinks can visit the Real Bar, which is located in the central part of the hotel. 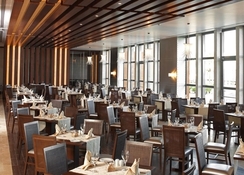 Ria-Restaurant-Bar is also available serving both food and drink. Guests can enjoy a variety of sports and leisure facilities during their stay. From splash-tastic swimming pools to teeing off on the nearby golf courses, including Castro Marim, Benamor, Quinta da Ria Maragota Colina Verde and Monte Rei. The Real Marina Hotel & SPA is a haven if you wish to unwind in style, with extensive treatments sure to satisfy. A damage deposit of EUR 15O is required at the time of arrival, which will be reimbursed during check-out. The hotel accepts all major credit and debit cards.